When the first steam engines were engaged on farms, they were not the traction engines that we regularly see, but portable engines. These portable engines were usually a hauled between farms by horses, and were not self propelled. Portly Polly was built by Ruston Proctor of Lincoln in 1916. 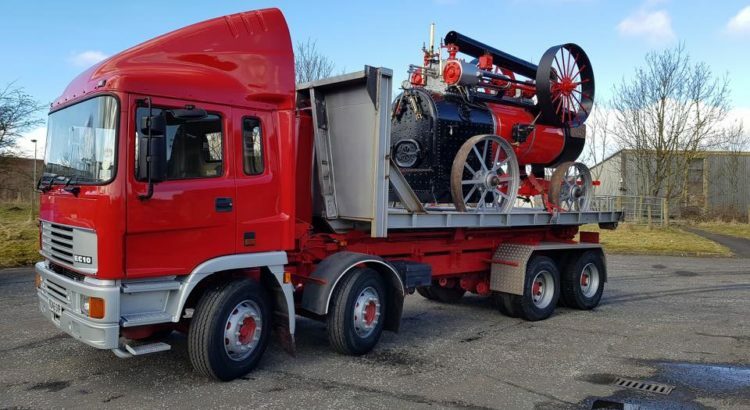 The engine is a particularly large portable, that was built as a PDG class engine, and is 12 horse power and is again fitted with compound cylinders. This engine which will be on display in the working area, was for many years on display in a museum on the Isle of Wight, and this is the furthest North the engine has ever been exhibited.